Isha Agro Developers is one of the acclaimed and esteemed manufacturers of Ayurvedic products and nutritional supplements. we also provide contract manufacturing & Distributorship of ayurvedic & Herbal supplement. We introduce super greenhills tablets for most health-conscious people who want to supercharge their energy very efficiently and quickly. This superfood formula contains assortment of nutrient rich food like Wheatgrass, Barley grass, Alfalfa, Spirulina, flax seeds, Sesame seeds, Sunflower seeds, which are blended with Digestive enzymes for added benefits. 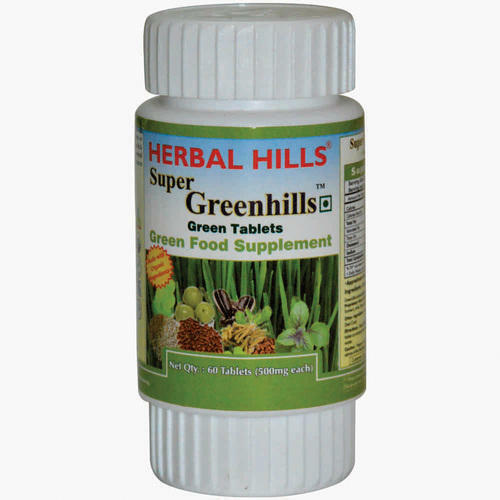 Being rich in desirable nutrients, these greenhills tablets promote a healthier way of living.